Ever since the ‘Nokia’ brand name was resurrected by HMD, people are loving it. HMD has brought the legacies back by re-introducing premium build quality and unique design aesthetics. HMD chose Android One as the default OS platform for Nokia phones, after the initial launch of Nokia 3, 5 and 6 in 2017. While those device trio run close to stock Android, shifting to Android One ensures timely updates from Google, access to exclusive services like Digital Wellbeing and possibility of getting early developer preview builds of next Android version. It is not a secret that HMD chose Foxconn as the ODM (original design manufacturer) of Nokia branded devices. To be specific, the actual ODM is FIH Mobile Limited – a subsidiary of Foxconn. As a matter of fact, FIH designs Android smartphones for other vendors such as Sharp or Infocus. It is uncommon for vendors across the globe to sell rebranded phones based on same reference design. Besides cheap MediaTek SoC based phones, the 2nd gen Qualcomm Android One phones (codename: seed) are the prime example of this practice. ‘seed’ phones were nothing but rebranded Longcheer L8150. 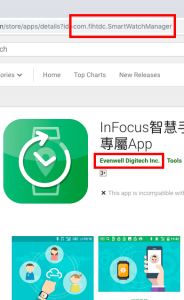 Digging inside (example: here, here, here) Chinese and global firmwares of Nokia phones reveal the existence of various apps from developers named ‘FIHTDC’ and ‘Evenwell’. A quick google-fu further uncovers that Evenwell Digitech Inc. has few public apps under Google Play. Want more examples of shady business? FIH(TDC) and Evenwell are indeed related to each other – see here, here, here. Whilst idly surfing the web today I found something very interesting. InFocus smartphones are made by Foxconn and branded by an American company. They are sold in China, India, Taiwan and maybe some other places. I decided to contact them and received some mail undeliverable notifications, but not from an InFocus domain, I received them from fihtdc.com! Who are FIHTDC? Well, I don’t know exactly, but some of the apps for Nokia phones are made by a company called Evenwell. On non-China phones these are identified as com.evenwell. *, however some stock apps on Nokia phones in China are identified as com.fihtdc. *, where * is the name of the app. 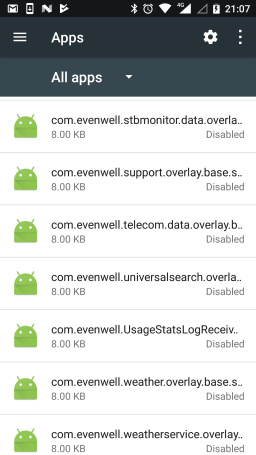 Look at evenwell.com.tw for more info. …He is also a director of certain other subsidiaries of the Company, namely Evenwell Digitech Inc., Execustar International Limited, FIH Technology Korea Ltd., Greater Success Investments Limited and Transworld Holdings Limited respectively. Apps from similar vendors can be found inside the firmware of Sharp/Infocus phones as well. Some of these apps are accused of fiddling with background apps and sending user data to Chinese servers. Don’t you think Nokia is defaming itself and drifting away from the ‘bloat-free’ standard? For the sake of argument, having a common software development team is not an illegal act. But sharing same bootloader and kernel across different devices is little too much. Have you ever heard any manufacturer used the same kernel and the same bootloader across at least 5 devices with the same SoC, different brands and different models? FIH did that. FYI, Hikari Calyx is a major contributor in the development and modding scene since Windows Phone days. While modern Nokia phones comply with Android One, they come with a locked bootloader. The bootloader is not permanently locked, but Nokia hesitated to come up with an official unlocking mechanism. We would unlock one model at the time. What device would you unlock first? 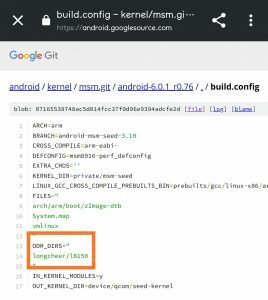 HMD/Nokia becomes consistent with sharing kernel source codes but the bootloader unlocking got stuck in limbo. After an year of initial announcement, they started allowing bootloader unlock for exactly one phone – Nokia 8. On the other hand, the modding community was not behind in the race. Vulnerabilities and access (?) to FIH’s internal infrastructure made it possible to unlock bootloaders of multiple Nokia as well as Sharp phones. From today, I can process bootloader unlock requests from Sharp Aquos S2 users – even if you upgraded to Android O. The unlock procedure is totally the same to Nokia phones. Don’t these facts clearly indicate that the current Nokia phones are merely carrying the name of the legend, not the soul of it? This article is the beginning of a multi-part series, where PiunikaWeb is trying to disclose some fascinating behind-the-scene phenomenons around HMD/Nokia. We will cover topics like prototype device hunting, homebrew firmware and bootloader unlock techniques in future, so stay tuned!